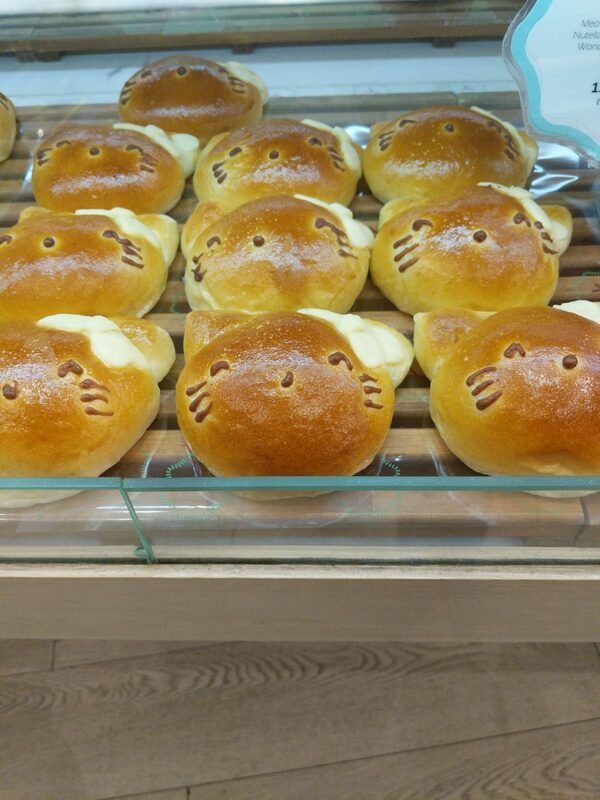 Went in to this Japanese bakery to have a quick cup of coffee and ended up taking home a few of their super cute buns. 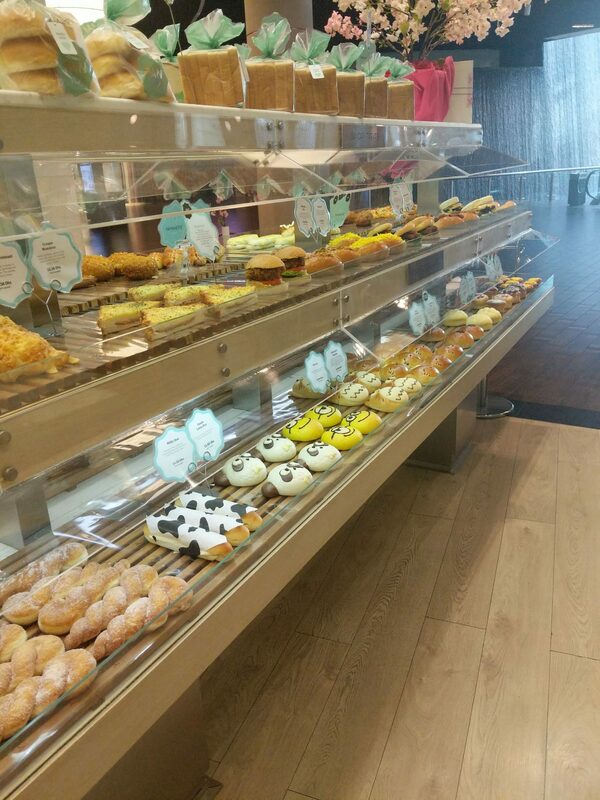 They have a very good selection of sweet and savoury items from croissants, cakes and pastries to sandwiches, rolls and even savoury buns. I ordered a coffee and was very tempted by the delicious display so I had one of their croissants and packed a few buns to take home. I kept thinking of my little one when I was looking at these stuffed buns with cartoon characters on them. She was very excited and absolutely loved them. Espresso Macchiato – Nice cup of coffee presented in a pretty cup. 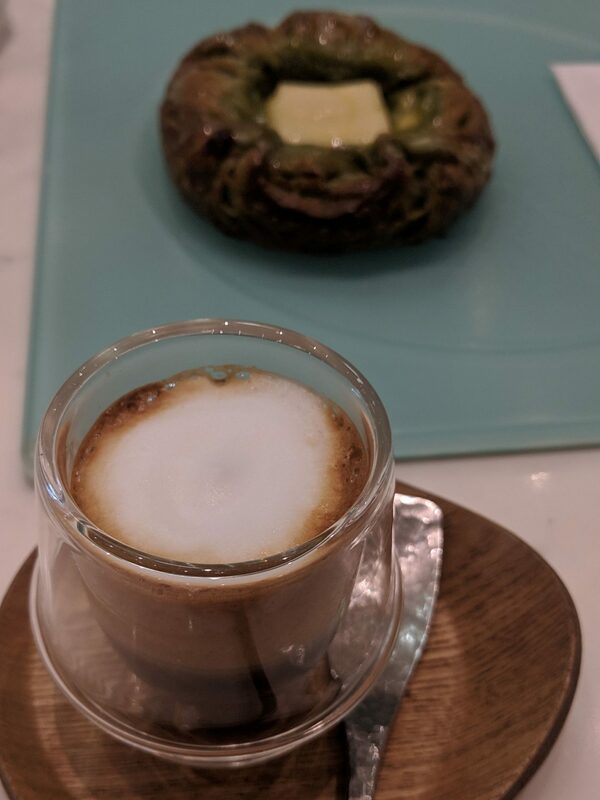 Yamanote Matcha croissant – I don’t remember the name of this croissant but it was Matcha flavoured slightly sweet croissant with cream cheese in the centre. This was a good accompaniment to the coffee. Kitty Nutella – This bun with a Hello Kitty design on it was stuffed with Nutella. Soft bun with nutella filling. This was an absolute treat! 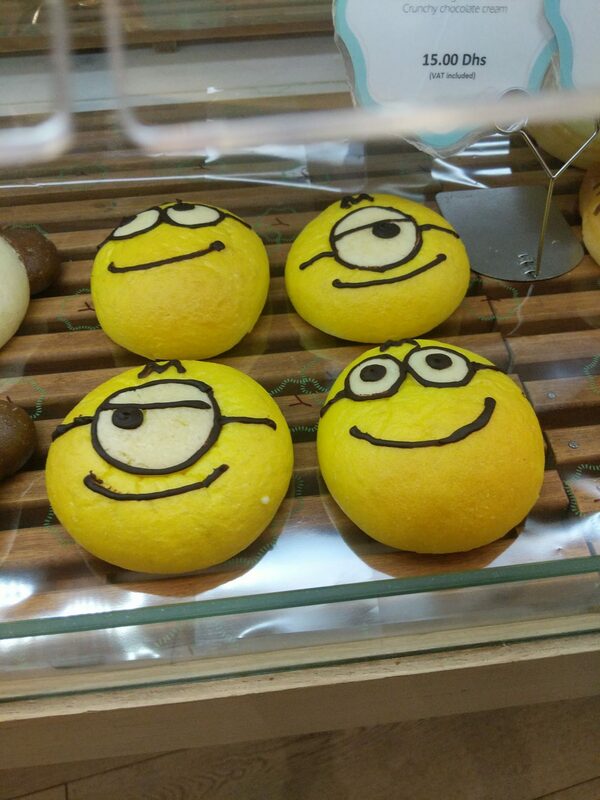 Minions – Soft sweet dough bun filled with crunchy chocolate cream. I really liked the crunchy chocolate filling in this one. The minion designs were too cute! 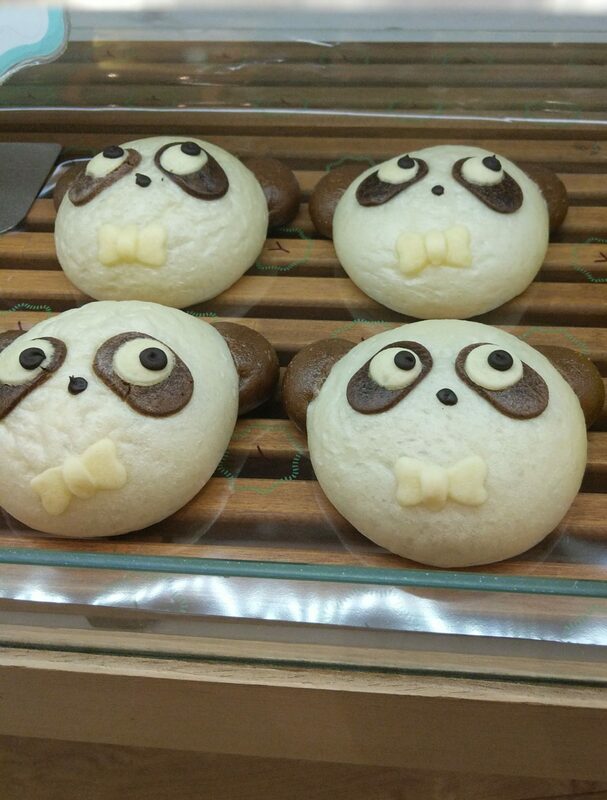 Panda Lotus bun – Soft dough filled with crunchy lotus cream. 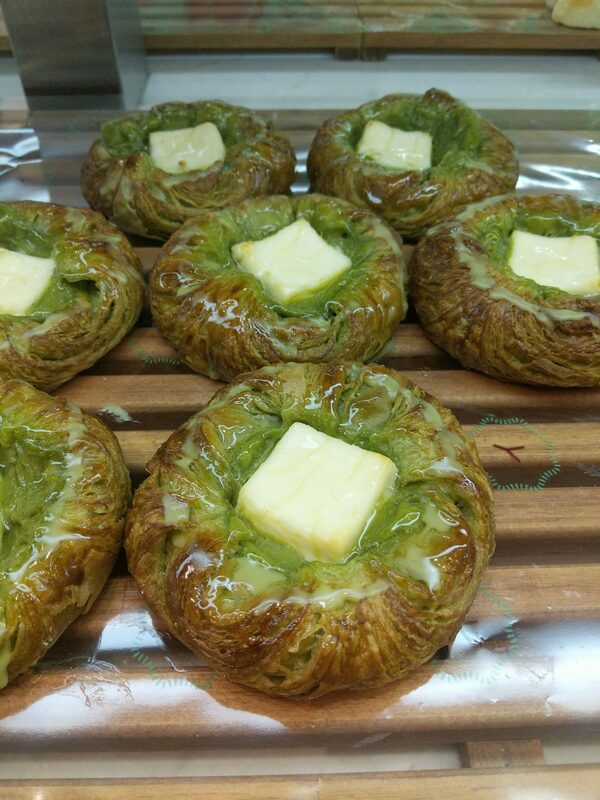 I am not a fan of Lotus biscuits and cream but the filling in the bun was not too much and tasted really good.